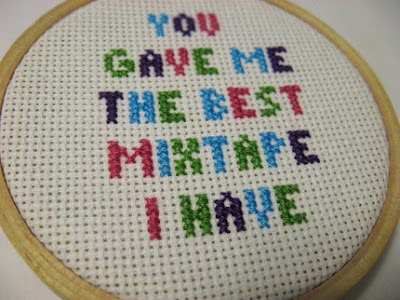 Was there ever a truer, purer token of love than a mixtape? I think not. 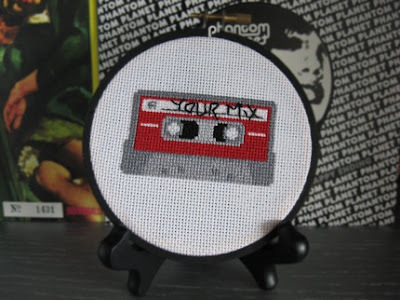 This is a sweet homage in embroidery.